True confession: I come from a long line of correspondence connoisseurs. While that statement might sound a bit hyperbolic, it’s true—my family adores a handwritten note. In an age of communication ruled by email and social media, my kin would rather send and receive missives via snail mail. To me, there’s nothing quite as heartwarming as finding a nice note waiting in my mailbox. As I read the letter tucked inside, the very nuance of the sender’s handwriting—the ligatures and imperfect marks—underscores the thought and care that went into this meaningful gesture. the word “stationery” may conjure images of oil lamps and quill pens, I assure you that its place in modern society is still very much secure. Shopping for it is a whole other matter. The choices! Infinite styles and sizes. So, in today’s world, what stationery do you need? First things first. Stationery is for everyone—male, female, young, old, married, single. We can all enjoy composing letters, and we should all have a beautiful place to write our thoughts. If you are married or have a family, you can either have individual sets for each person, or you can have a collective set. If you go with the latter, it’s recommended that you incorporate each family member’s first name in the header. For instance, you could have your last name more prominent with each person’s name underneath in a smaller font. 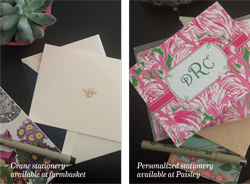 If you write a significant amount of correspondence that is not from the whole family, consider keeping a small stock of personalized stationery, just for you. These are a must have. Think of correspondence cards as the workhorse of the stationery world. Generally measuring four inches by six inches, these flat cards are printed on a thicker paper stock. They are perfect for a quick missive to a friend or a thank you note—any communication that will be relatively brief. For personalization, the sky’s the limit. Just remember that you want the focus to be on what you say, not the design of the card. Traditionally, either your name and address or just your name is placed in the top center. For a subtler look, consider using just your initials or monogram. To add a dash of pizzazz, try a colored border around the card. While not vital, social sheets are very handy. Measuring six inches by eight inches, these slightly larger pieces of stationery are printed on lightweight paper, as opposed to the thick stock used on correspondence cards. For longer messages, social sheets give you more space to expand your thoughts. The best part is that because of the lightweight paper, you have the option to keep on writing. Once you finish a sheet (writing on the front side only), simply grab another one and keep the ideas flowing. When you’re done, fold the sheets and tuck them into the envelope. In terms of design, follow the same rules as for correspondence cards, with one slight caveat. A design should just be used on the top sheet. Any additional pages should be plain. When you need to write a novella of a letter, this is your best bet. Measuring seven inches by ten inches, monarch sheets, also known as executive stationery, are designed for longer-form correspondence, and most closely resemble a traditional sheet of paper. While it likely won’t be the most used piece of stationery in your arsenal, it’s good to have around for occasions that call for a few extra words. The same rules apply to monarch sheets as social sheets. 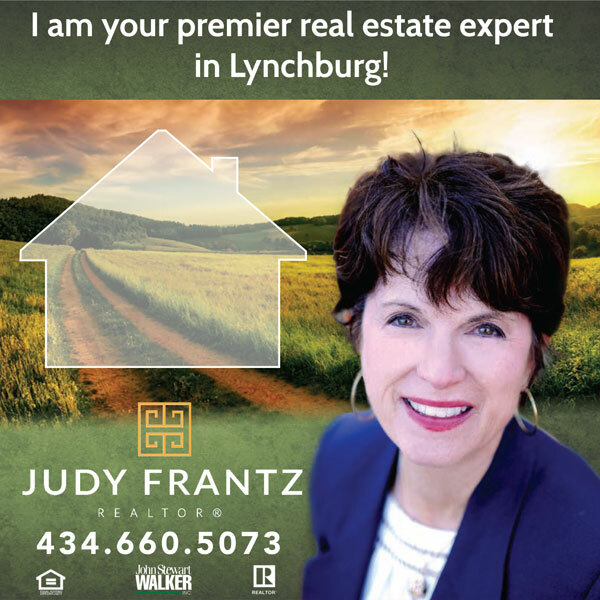 Write only on the front of each page, and any design should appear only on the top sheet, with additional pages being plain. It’s hard to discuss stationery without discussing its final housing. While for the paper sheets it’s best to steer toward plain and elegant, an envelope is a place where personality can shine. Try an envelope liner with a rich pattern or color—blush pink paisley or powder blue quatrefoil. Feeling bold? Consider a colored envelope. If there’s one thing I know to be true, a handwritten note will reach from the hand of the writer to the heart of its recipient. While many consider these missives to be a dying art, I believe that in a fast-paced, tech-driven world, now more than ever we need them. We need the chance to slow down, to hold someone’s thoughts in our hands, and to see the time and care that went into each word and each carefully selected sheet. 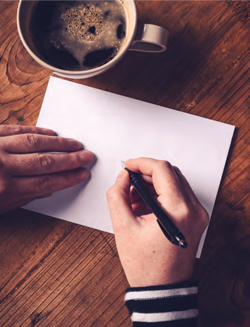 We’ve all been there—you pick up a card, sit down to write a heartfelt thank you note, yet all the words have vanished. What’s a writer to do? Here are some quick tips for writing a meaningful thank you, even when you have writer’s block. BE TIMELY: The longer you wait, the more details you’ll forget. Traditionally, you should send a thank you note within one week of an event or receiving a gift. USE DETAILS: Don’t thank the person for just “the gift.” Thank them for the cinnamon-scented candle or the plush sheet set that matches the colors in your guest bedroom. This lets them know that their gift was memorable. INCLUDE A WHY: The most important line is why the gift was meaningful to you. This gives the person a glimpse into the impact their gesture will have on your life. A final thought—consider blank cards. Even though preprinted cards with the words “thank you” are ubiquitous, it is entirely appropriate to send thanks on a blank note card. There are many designs available—from botanicals to modern graphics to simple monograms—sure to suit any taste. The added bonus of blank cards is that they are available for any purpose.